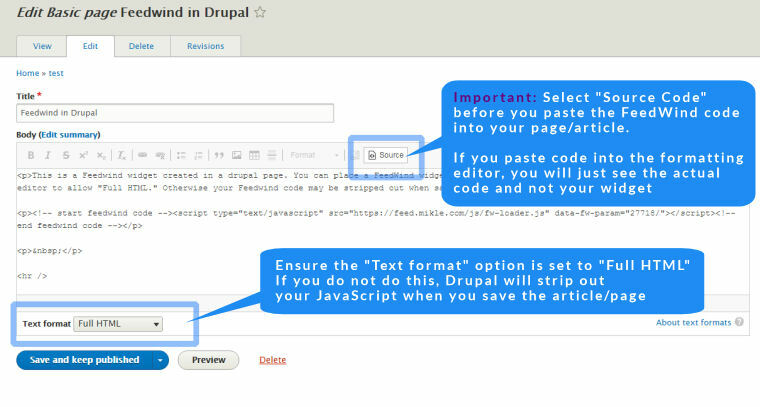 Drupal RSS can be used to create a Feedwind widget for any page/post/sidebar etc. so you can display a Drupal website feed on any website. You can also display an article feed from your Drupal site, on another page on your Drupal site. For example you could display your articles in a feed widget on your homepage as a blog/article summary. 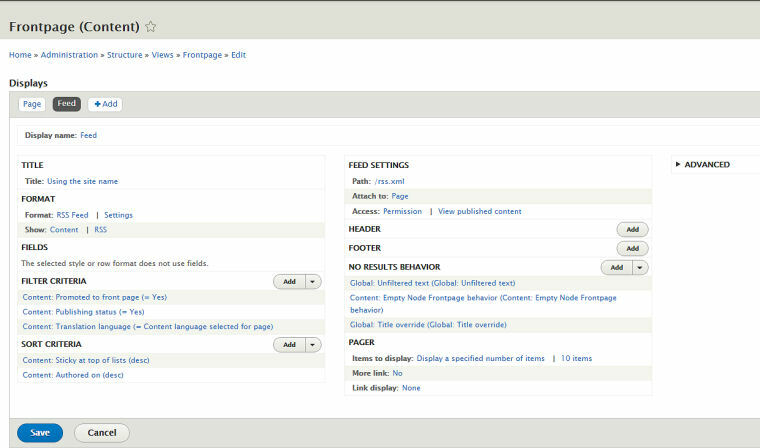 As with most CMS platforms, Drupal has a dual editor for articles and pages which allows you to edit in fully formatted mode, or edit in HTML mode. Important note: To paste the FeedWind code snippet into a page or article, you must first use the button to select the <> Source editor and not use the default formatting editor. In addition, you must also enable “Full HTML” in the Text Format option just below the editor. After pasting your FeedWind code, save/publish your article or page. Your new widget should then be visible in the Preview or when you view your page. 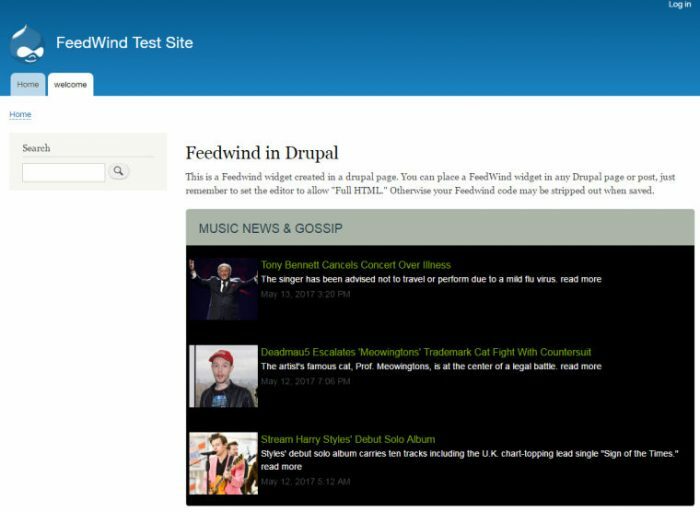 Here is an example of a FeedWind widget on a Drupal site. 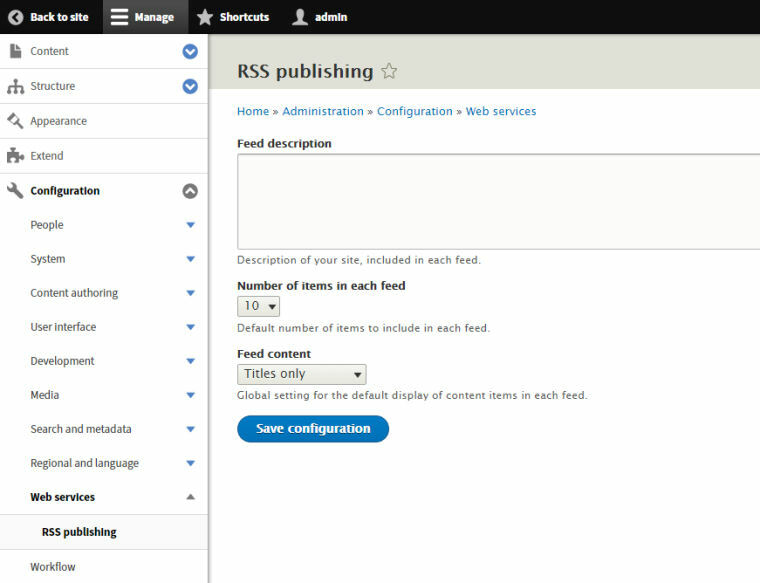 Drupal provides an RSS feed of all posts (articles) automatically. The default is to display only 10 posts. In addition, Drupal RSS feeds can be configured in detail so you can customize your feeds before you create your FeedWind widget. If you require any assistance with FeedWind or how to implement a FeedWind widget in Drupal, please contact support and we’ll help you get things working.